Losing weight improves your health, right? Well, debatably. For some people, it probably does. For other people, a healthy diet might cause health improvements and weight loss at the same time, but the health improvements really came from the diet, not the weight loss. But there’s one group of people who definitely don’t benefit from weight loss: people who gain it back. And then lose it again. And then gain it again. And so on. This isn’t restricted to people who gain and lose a lot of weight. Recent news about The Biggest loser has put weight regain back into the spotlight, but there’s a story going untold here – the story of people who didn’t start out obese, or even significantly overweight. Every year, tons of people at a medically healthy weight try to diet, and every year 1/3 of them regain more weight than they lost. Yo-yo dieting is dangerous for these dieters, too; in fact, it might even more dangerous than it is for people who started out overweight or obese. Statistically speaking, yo-yo dieting is much more common than lasting weight loss. One review reported weight cycling in 20-35% of men and 20-55% of women. It’s hard to pin down an exact number because it’s not clear what “counts” as weight cycling (for example, what percentage of your body weight do you have to lose to count as “weight cycling”? Different studies use different numbers. How long do the cycles have to be – does it still count if you maintain for 1 month and then regain? What about 6 months? 1 year? Again, different studies use different numbers). But even taking the lowest estimate of 20% for both men and women, and even if we’re using the most generous estimate of successful maintenance, there are more people treading water by weight cycling than there are people who successfully lose weight and keep it off. Presumably, most people who lose weight don’t want to get stuck in the yo-yo cycle. They want to keep it off. So why do they keep gaining it back? The short answer is: your body wants you to stay at your highest lifetime weight. If you start losing weight – whether it’s from cutting calories or exercising or taking thermogenic supplements or changing your diet in any other way – then your body fights back. You can get all the details here, but it’s everything from hormonal changes that slow your metabolism to changes in mood and energy that make you hungrier and more tempted to overeat. Your body really, really wants you to regain weight and it pulls out all the stops to make that happen. Unfortunately, that’s not so great for your long-term health. This review looked at dieting and weight cycling, especially in people who aren’t obese. The authors found that weight cycling or yo-yo dieting was strongly associated with a higher risk of cardiometabolic disease (heart disease, diabetes, and the related cluster of problems). Weight cycling impairs insulin sensitivity and increases insulin resistance. Weight cycling lowers HDL cholesterol, lowers LDL cholesterol, and raises triglycerides. Weight cycling increases blood pressure. Weight cycling may also contribute to chronically high inflammation. This study also found that normal-weight women who yo-yo dieted came out of the cycle with lower thyroid hormones and a slower metabolism. Take this one with a grain of salt though because it was basically a case study (only 5 subjects). Some studies have also found that weight cycling is a risk for overall risk of death – even more so than weight-stable obesity. It might be better to be consistently obese than to yo-yo up and down. The “repeated overshoot” theory is one attempt to explain this. Basically, it goes like this: during overfeeding and rapid weight gain, insulin sensitivity drops, cholesterol gets all haywire, and blood pressure rises. This creates periods of “overshooting.” During weight loss the opposite changes take place, but more slowly. So the weight loss doesn’t totally reverse the changes of the overshoot period and the net result is a slow but steady collection of health problems. One of the best-known risks of yo-yo dieting is long-term weight gain. In the long run, the peaks of weight keep getting higher and the lows keep getting lower, and that effect mostly shows up in people who started the yo-yo cycle at a normal weight. These are people who start diets at a medically normal and perfectly healthy weight – they want to lose “the last 5 pounds” for aesthetic reasons, not because their weight is having any impact on their health. But dieting at a normal weight increases a person’s risk for rebound weight gain. This study looked at pairs of twins, where one twin dieted and the other twin didn’t. The researchers counted the number of times that the twins had tried to diet. The more diets, the heavier the dieting twin. 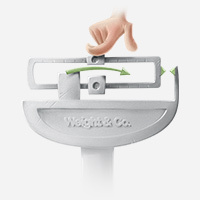 Fully 1/3 of dieters regain more weight than they lost. Over time, this can make your body better at storing fat, and reduce resting metabolic rate – again, this metabolic adaptation happens especially in relatively thin weight-cyclers. It’s debatable whether it even happens to people who start out overweight. The million-dollar question is: how can anyone lose weight without getting stuck in the yo-yo cycle? And the answer is…nobody really knows. “Stop dieting” doesn’t mean “stop caring about food.” It means “stop restricting food/calories in order to lose weight.” Eating well for general health isn’t dieting; it’s just eating. Nobody has actually found one single method of weight loss that works better than any other method for reducing regain. It’s not clear whether low-carb is better than low-fat in general (although one might be better than the other for specific individuals). It’s not clear whether slow weight loss is better than fast weight loss in general (although again, one might work better for you, because you are a human and not an average number from a study). All we can say from the actual evidence is: don’t lose weight by doing anything you couldn’t keep up forever. Whatever you do to lose the weight, you will have to keep doing it to maintain your new weight. This is why contestants on The Biggest Loser almost all regain. Like other normal humans with jobs and lives, they can’t exercise for several hours every day once they leave the ranch. Another piece of advice: if you’re already at a BMI that isn’t affecting your health, then consider just…not dieting. Statistically, it’s likely to backfire. Statistically, you’re likely to gain more weight than you lost. And meanwhile you’ll be hungry and cranky and end up with a lower metabolism. 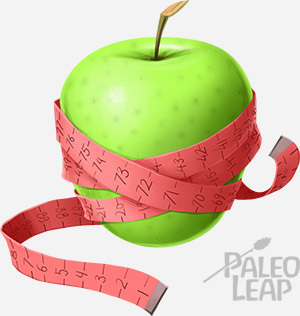 It is actually possible to just opt out of constantly trying to “lose the last 5 pounds.” Why not just enjoy delicious food that supports good health without making it all about the number on the scale?